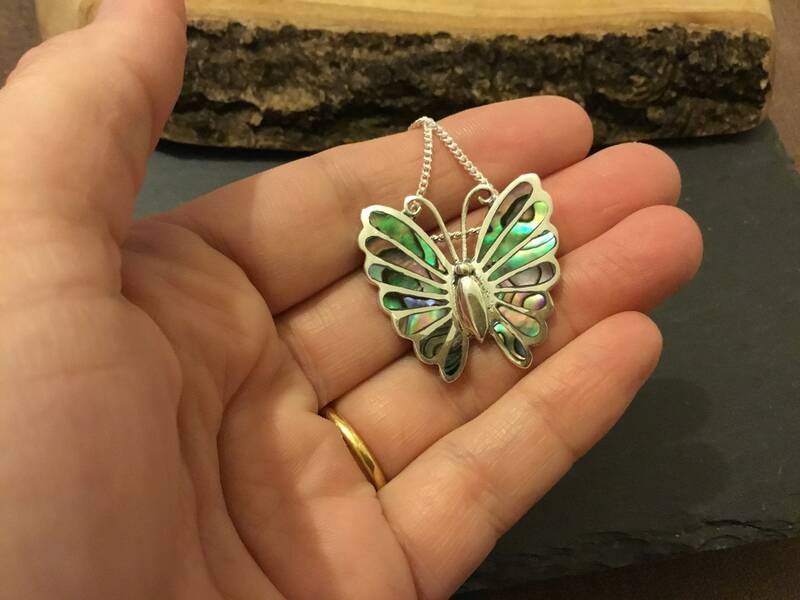 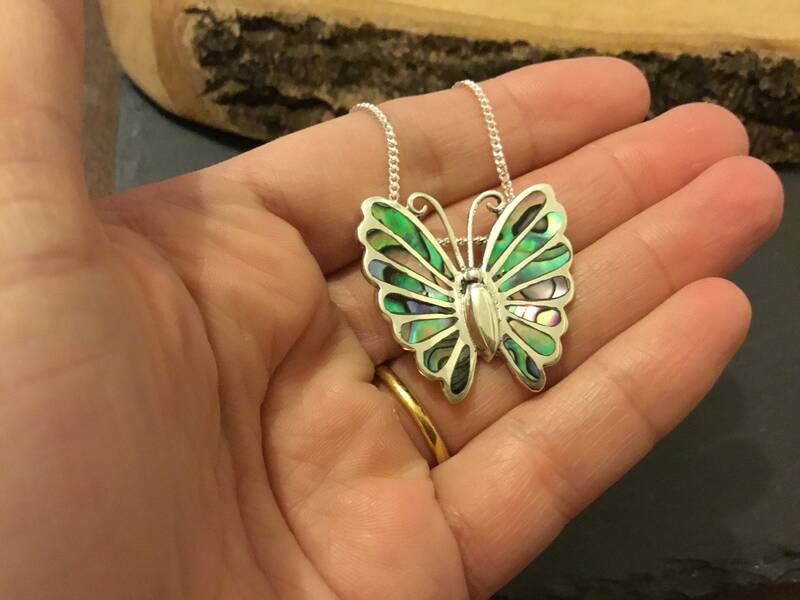 Sterling Silver Butterfly Pendant and Chain. 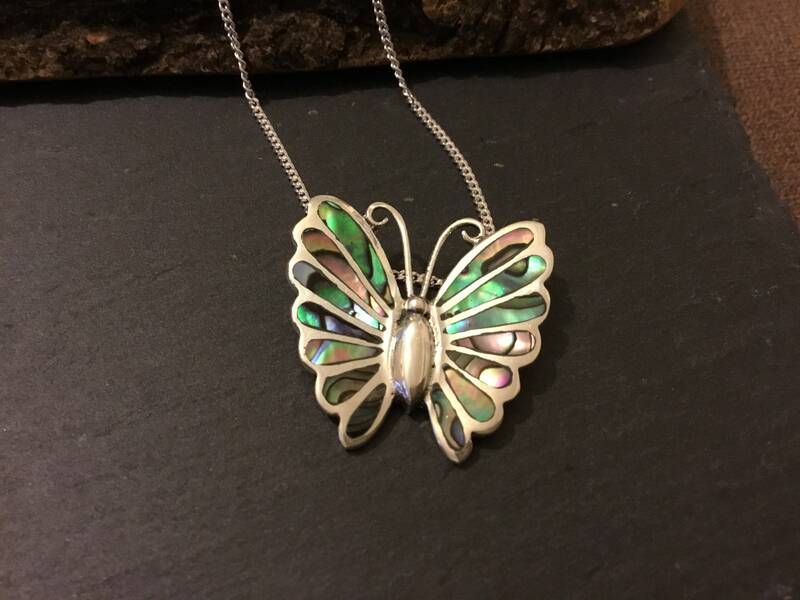 Designed As a Butterfly With Nice Detailing to The Wings Which Have Been Inlaid With Abalone Shell and Finished With a High Polish. 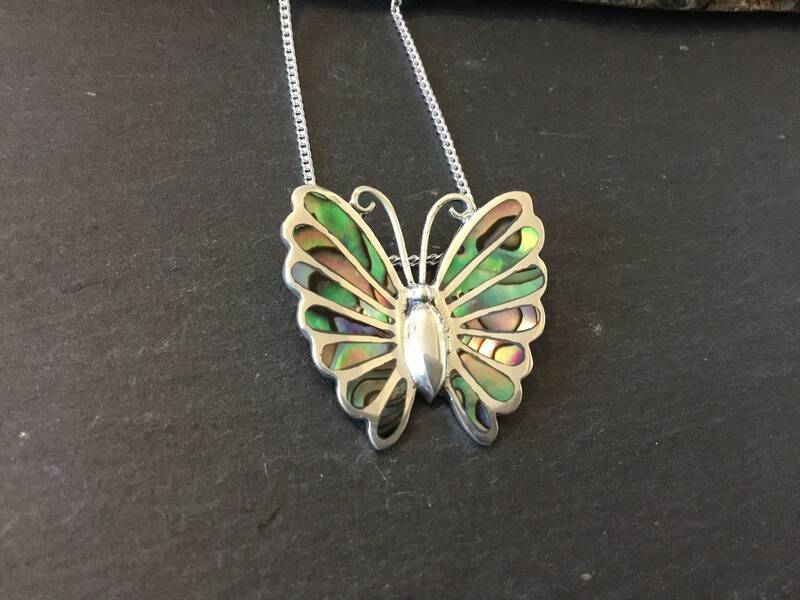 The Pendant Has a Nice Size To Allow For The Extra Detailing, There Are Fourteen Pieces of Shell Inlaid With Nice Hues of Green and Blue. 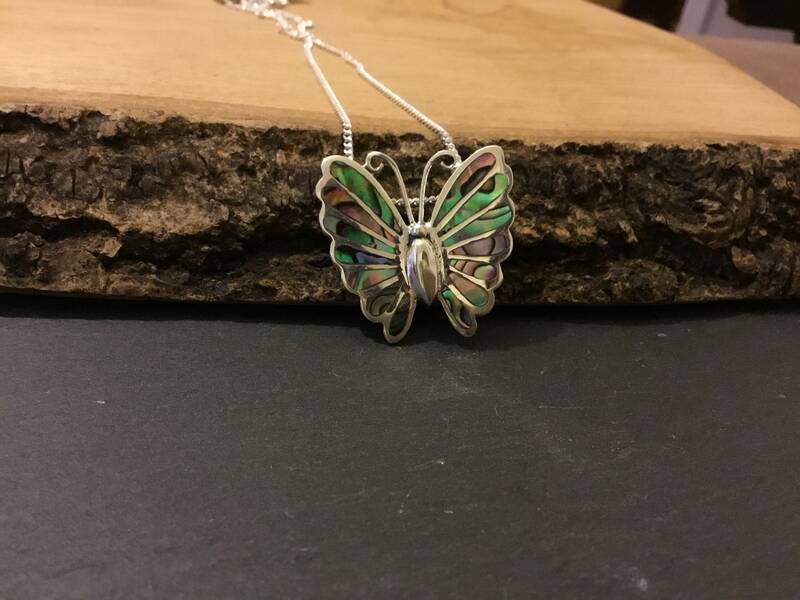 The Silver Curb Chain Measures 18 Inches Long Though Can Be Changed Upon Request. 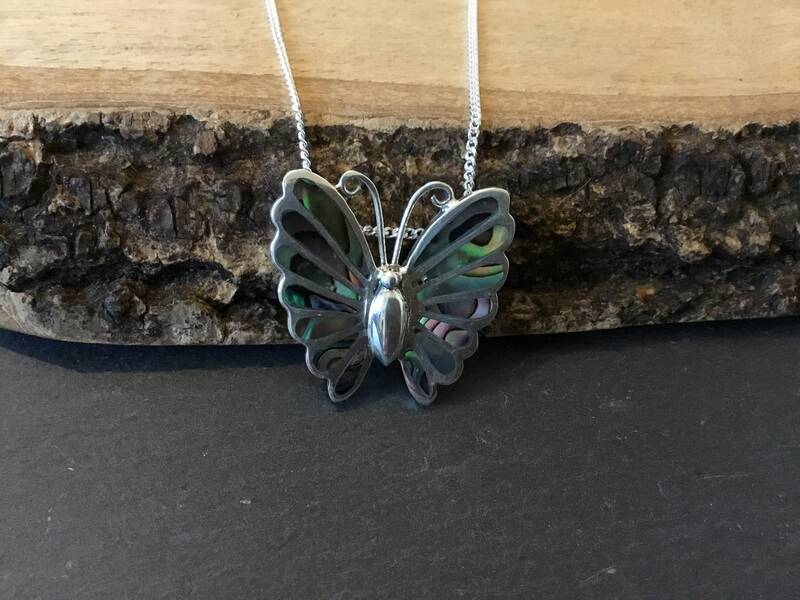 Measurements of This Wonderful Butterfly are 30 mm Wide and 29 in Height.